During the end of May and beginning of June, our CCP team spent time adjusting to the UK and learning how to be ministry competent in this culture. Meanwhile, our English counterparts were revising and taking their final exams at their respective Unis. Now, both groups have come together and are participating in a program we call the Sheffield Leadership Project (SLP). At Campus Outreach, our mobilization strategy is organized around the “lost worlds” graduates will find themselves in after college; back to the college campus, the neighborhood and workplace, and/or cross-cultural, overseas missions. The first ever Sheffield Leadership Project stays true to this strategy. It is an immersion experience focused on the word, community and people of God. The Project includes the CCP team, a group of six university students that study in Sheffield and one student who commuted from Brighton. 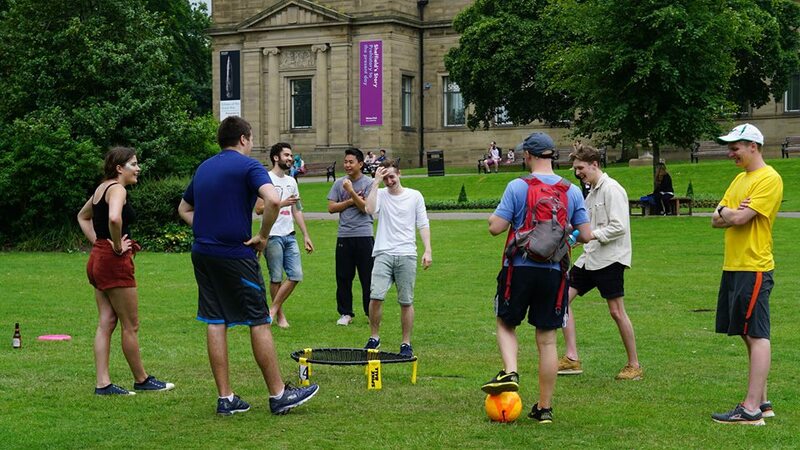 The English and American students will spend the summer living together, getting training on evangelism and discipleship, and putting that into practice through ministering to various communities in Sheffield. 1) Kimbrah Watts’ experience of church life and what she was told about God never fit into the way she wanted to live. But when Kimbrah moved away from home for Uni, she realized how relevant and necessary Jesus’ sacrifice was for her. Because of Jesus’ actions, like his death and resurrection, Kimbrah is secure in his love and forever changed. 2) Francesca Gan believes all people find their identity in something. For Fran, it used to be following rules or a religious code. But Fran was never satisfied with her life, self or other people until she found her ultimate identity in something that will always satisfy – Jesus. 5) Sophie Jones understood God’s grace as the sending of His son to take her judgment. By God’s grace, Sophie turned away from herself and toward Jesus, knowing it was because of him that she is redeemed and adopted into God’s family. Please join us in prayer as we take on a full load of ministry-minded activities this week…. Please pray for the students participating in the SLP this summer! Pray especially for them to grow in their love for Christ and desire to see him known and enjoyed in Sheffield. Pray that the Lord would continue to work where He is clearly already working, and that the speaking of Jesus’ name with Uni students would not return void. Pray for the lost students who are excited about hanging out with us during our events: TCH gatherings, worldview nights, Thursday BBQs, the English language tutoring center, and other spontaneous events. Pray we would build bigger hearts for ministering to the international students attending the Uni of Sheffield for the summer and/or the next years of their life. Pray for the students who have expressed interest in learning about the gospel while visiting with our team. Pray for the students who are open to talking about the existence of God, the legitimacy of Christianity and the implications of faith. Finally, please pray for team unity, grace upon grace, and love to "cover a multitude of sins..."
Evangelizing to the Danes, with special interest and time devoted to reaching university students. 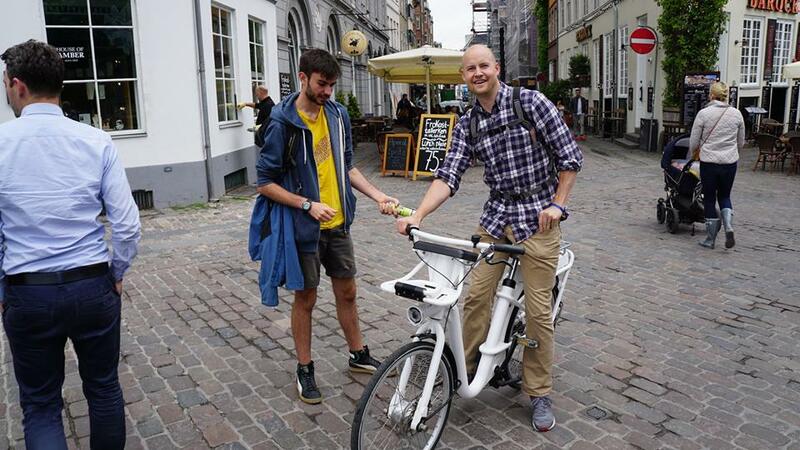 Dave "The Rave" and Steve "The Dish" are København bike buddies. Josh Nalus attended #stp15worthit and is a TCH Student Worker. Having gospel conversations about history, culture, politics and religion. Becky (left) and Ida (right) at New Harbor. Spikeball bounces unto the Uni scene! 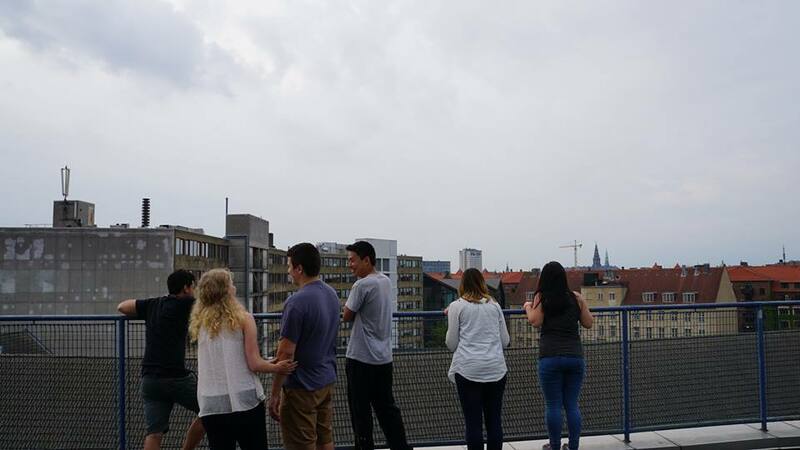 Casting vision for the future of Campus Outreach in Europe. Much thanks to our fabulous photographer: Alli Wood! Click through the slides.